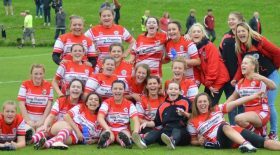 The opening round of the the Tyrrells Premier 15s, 2018-9 version, could scarcely have played out more dramatically: two 3-point victories and four yellow cards awarded against one team for starters. For a real sniff of novelty we needed to be watching the Bristol-Wasps fixture: the home team on a new ground, Dings Crusaders’ Shaftesbury Park; a new nickname, the Bears, and a pitch that looked as if it had just been bought at the local carpet shop. In fact Dings moved in last year, so the groundsman knows the right carpet cleaner. The rugby wasn’t too shabby either. A host of new names on each side helped to ensure a contest of high intensity in a gusty breeze. Two of them were playing against their old club. Both Claire Molloy and Amy Wilson Hardy had spent many years with Bristol before signing terms with the Londoners this season. Wasps had first use of a cross-wind and made inroads – two dangerous attacks took them close to the line. But their own errors thwarted them. Elinor Snowsill, the experienced Wales No 10, made two early slalom-runs through thick traffic to show her quality. She will prove an important addition to the Bears’ armoury. The game had quality and movement throughout. Wasps managed to put Abby Dow away for her to squeeze in at the right corner-flag. Nolli Waterman needed attention straight after, but fortunately it didn’t halt her involvement. The Bears countered with excellent combinations, centring on Snowsill and the skipper Amber Reed in midfield. Lucy Attwood and Poppy Leitch both went over, but Lizzie Goulden, Wasps’ new No 10, slotted a fine penalty from outside the 22. They reached half-time with a confidence-boosting 15-10 lead. Goulden’s presence on the field has its significance. She’s from Wellington; another signing Kendall Templeman is a winger from Manawatu. These acquisitions are a distinct step forward for the Tyrrell; it may be some time before the entire Black Ferns squad switches its allegiance to England’s major competition, but fires start with a single match. The Bears got their noses in front after the interval, when Sarah Bern made her presence felt under the posts (17-15), but that proved the high-water mark for them. Tova Derk then produced an 80 metre run to regain a lead that Wasps were to hold to the end. Their defence was heroic and firm; their attack, inspired by Molloy’s tenacity, ensured a bonus point and five tries in total. It was strange to see Bern and Caity Mattinson back on the bench relatively early in the second half. Let’s assume they had sustained injuries. Not many sides can prosper when denying themselves two current England internationals. It was good to see the now retired Izzy Noel-Smith looking on from the stand, but her pals couldn’t quite produce the needful. Two very close results in the North-East and the Midlands were just what the Tyrrells needed. One-sided contests don’t do anyone any good. It was Waterloo’s misfortune to face the Champions first up; at least they got themselves on the scoreboard. 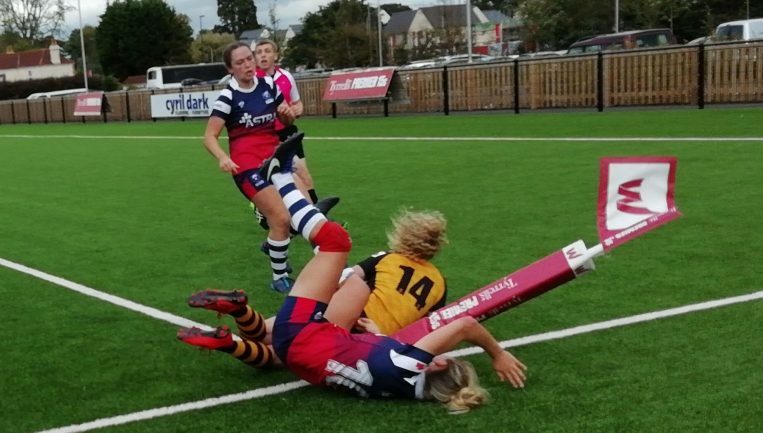 The Valkyries must take heart from their stout performance in Darlington where they achieved the still unusual feat of scoring two bonus points. With Carys Cox dotting down in the last two minutes, they came within 3 points of the hosts, but time ran out. An unfamiliar-looking Quins XV justified pre-season guesswork by overpowering Glos-Pury with six tries away from home. Lightning did all they could to throw away their advantage against London’s one struggling team. Eleven players on the field? That must be closing in on some sort of record. This was a bizarre game: Lightning looked all over Richmond in the first 40, but then the referee’s whistle and card-play ensured the most dramatic of finales. League tables after a single round of matches can look very silly. But already Sarries sit top with Wasps and Quins at their heels. There is so much talent around in this second version of the Tyrrells that we can’t be sure of anything. Hunches are all that are left. Might the table look very similar after the eighteenth round?